I’ve had slow-cooked foods on the brain lately: French onion soup, barbecued ribs and pecan pie. 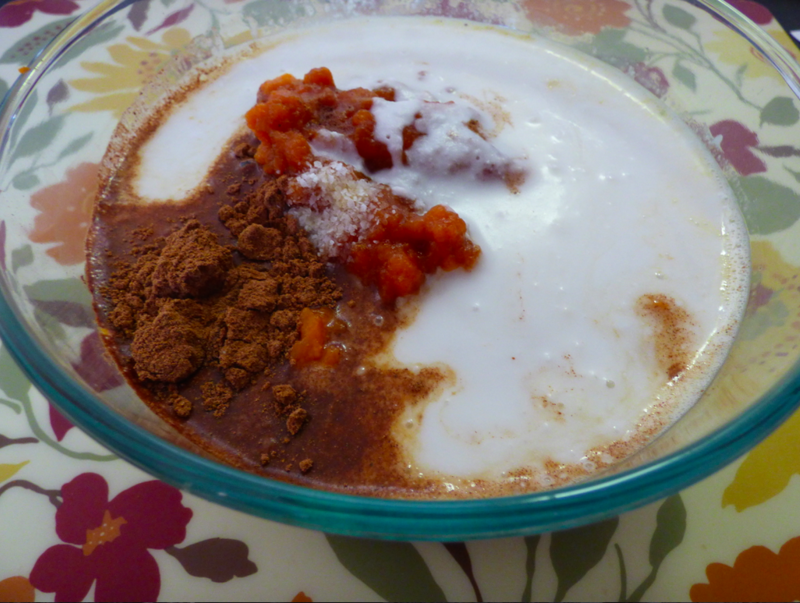 Slow-cooked foods are ideal in the winter and when my body is craving certain foods, I listen. 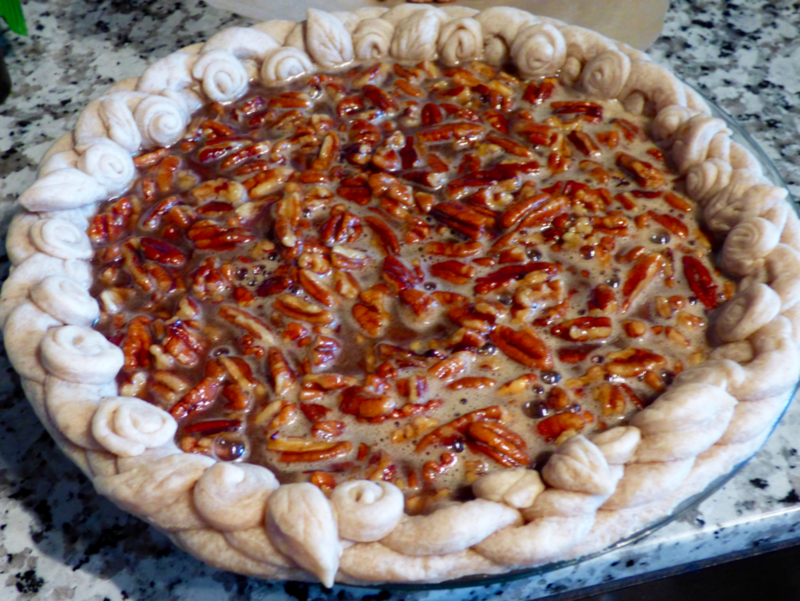 I’ve wanted to make a pecan pie for ten years. My inspiration came from the Shoshoni Yoga cookbook, which I discovered after a day trip to the Rollinsville, Colorado center. The yoga class was held in the main hall next to the kitchen where I could hear the cooks chanting mantras (mantra: to protect). 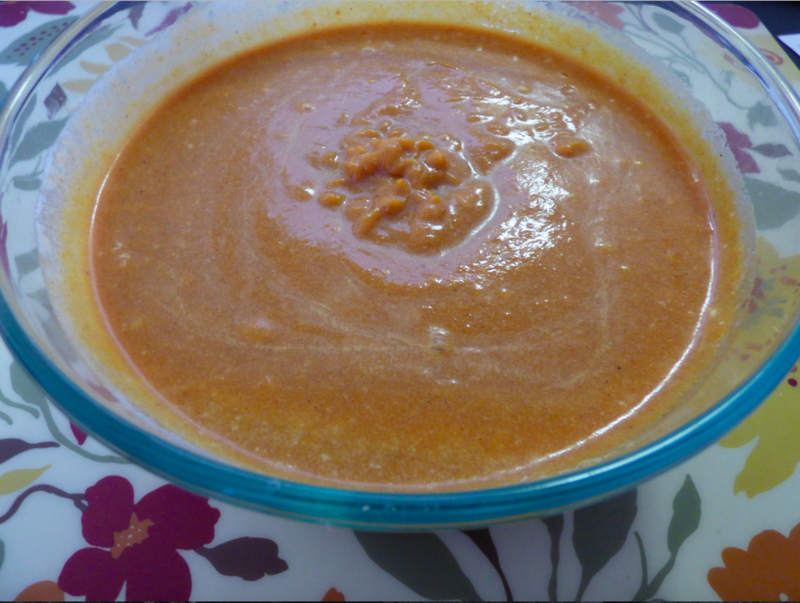 The summer meal consisted of Mexican vegetable soup, salad with avocado dressing, and sopapillas with refried beans and cheese. I felt so nourished from eating these foods and left wanting to know more. I studied every page of that cookbook. 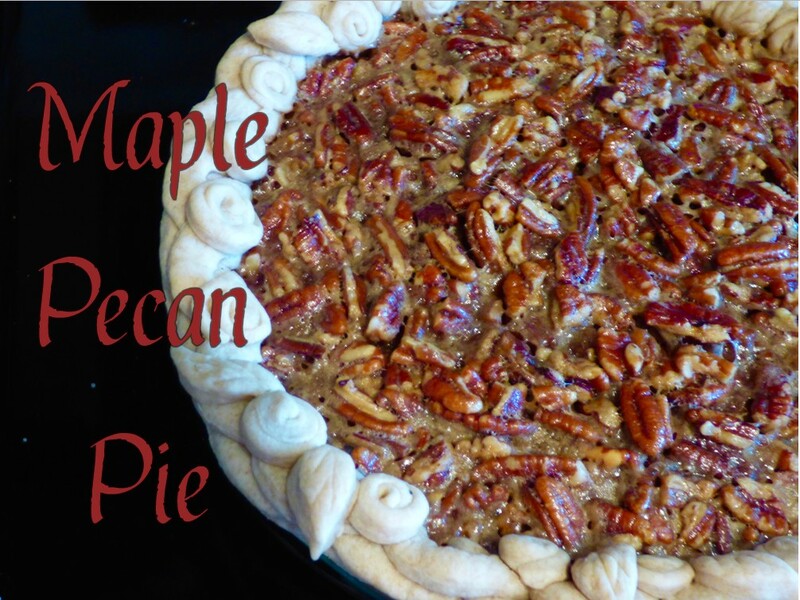 All great recipes (especially the desserts section) but the pecan pie was the most impressive. Why? They use maple syrup instead of corn syrup. I didn’t know you could substitute the two. 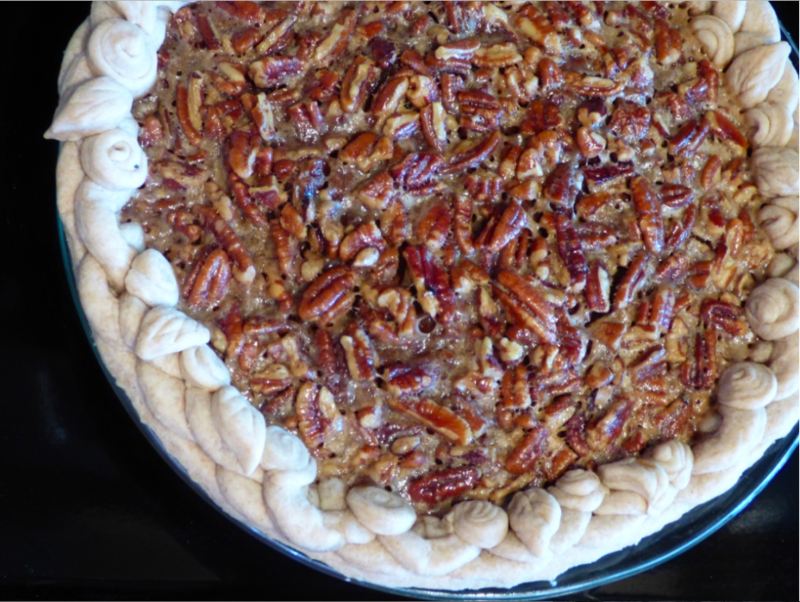 Corn syrup is a standard ingredient in pecan pie. It’s also one of the sweeteners that I avoid. 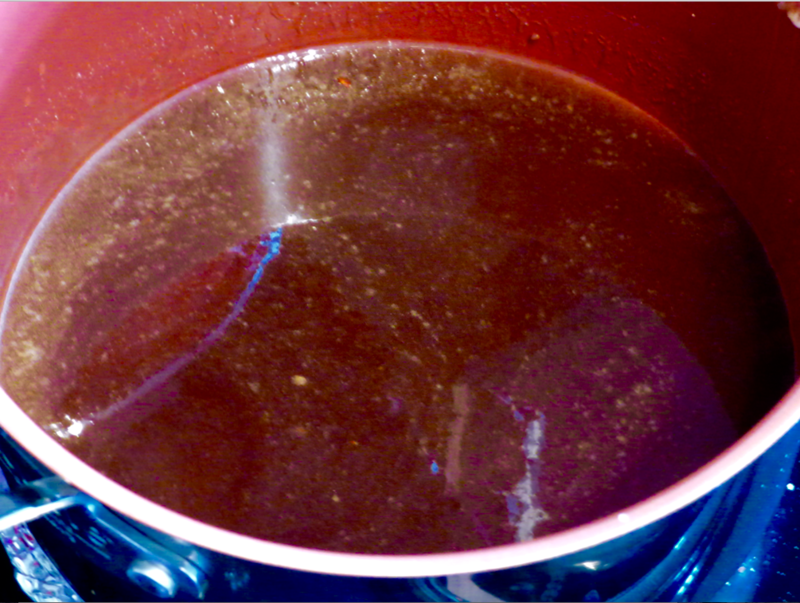 Maple syrup is packed with nutrients and anti-oxidants. Combined with pecans’ massive health benefits this dessert is a phenomenal superfood. I’d been hesitant because I wasn’t sure how to do it. I didn’t want to mess up or waste good ingredients. But after a two week Personal Yoga retreat I felt more courageous and aware of my body’s messages. It became clear that I needed more information. So I did some research which led me to this recipe. It’s similar to Shoshoni’s version and has more detailed instructions. 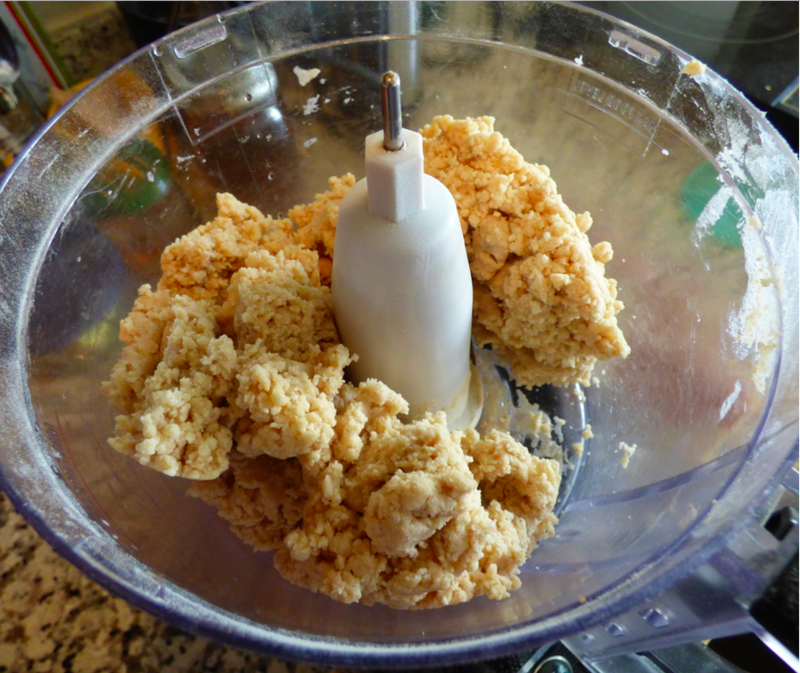 In a food processor pulse to combine the flours and salt. Add chilled butter and fat and process until the mixture has the consistency of cornmeal. Add 4 Tbsp ice water and pulse until the dough gathers into a ball. Add 1-2 additional Tbsp of water if needed. Transfer dough to a piece of parchment paper. Form dough into a round disk, handling as little as possible. Wrap dough in parchment paper and place in a sealed ziplock bag. Place in freezer for 30 minutes. Unwrap dough and lightly flour a rolling pin. Roll dough into a 12″ circle. Transfer to a 9″ pie plate. Press rolled dough to fit pie plate. Shape edges into a fluted or decorative design of your choice. Chill crust for 30 minutes. 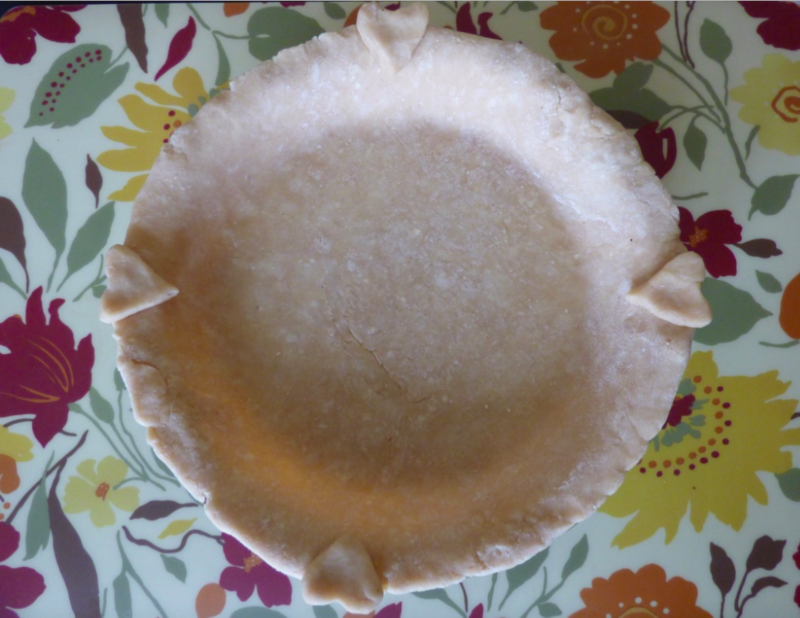 Line pie crust with parchment paper and dry rice or pie weights. Bake crust at 400 degrees for 20 minutes, then remove paper and weights. 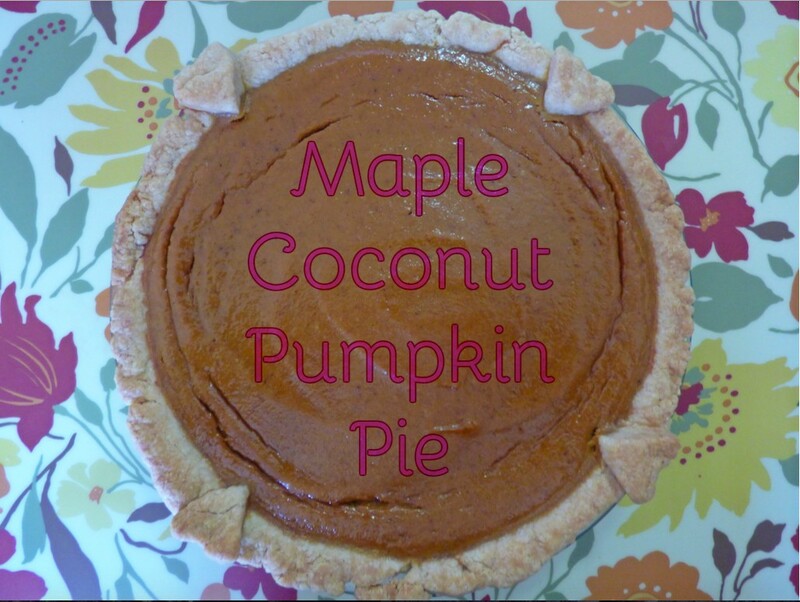 Prepare the filling while the pie crust is baking. In a medium saucepan melt the butter, brown sugar and salt. Remove from heat and add maple syrup, vanilla, and Bourbon. Stir in the toasted pecan pieces. 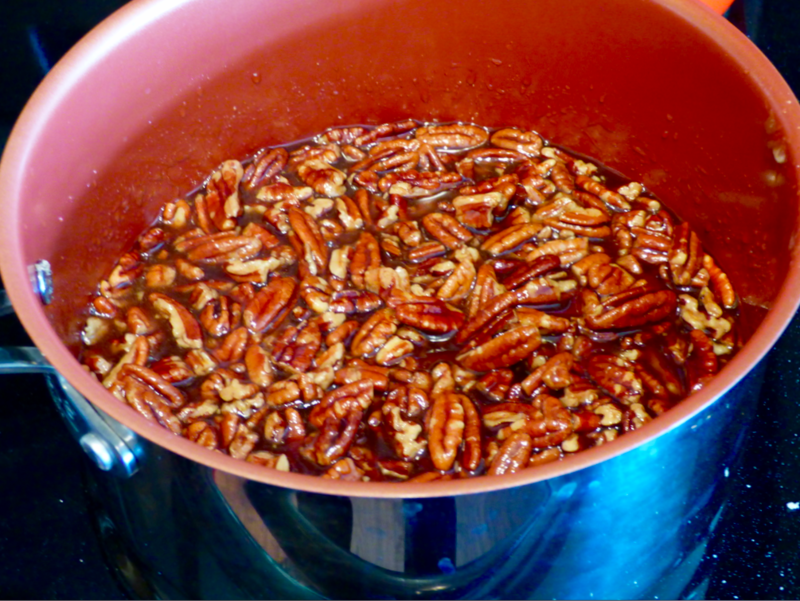 Option: to infuse the pecans add them to the vanilla-syrup while they are still hot. Let cool completely. In a small bowl whisk the three eggs. Stir into pecan mixture in three additions. 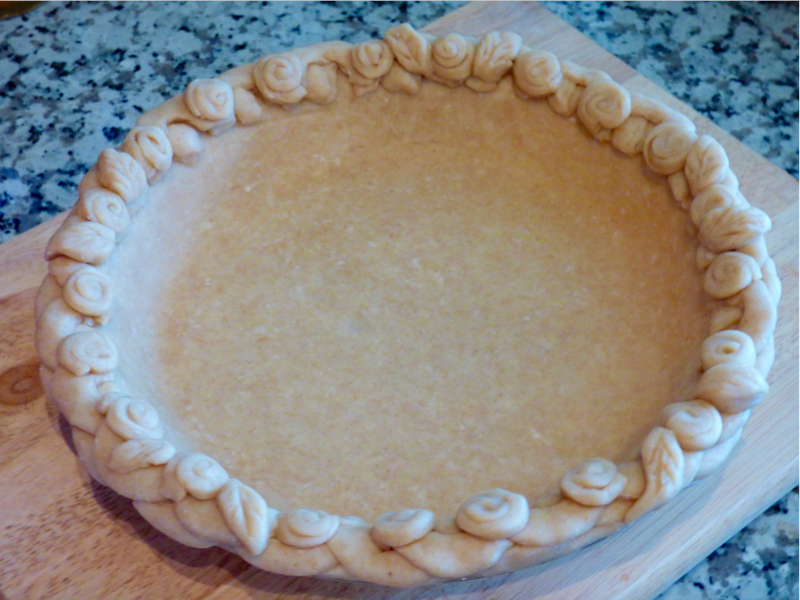 Pour filling into hot, pre-baked pie crust. Reduce heat to 275 degrees. Bake pie for 20-40 minutes. 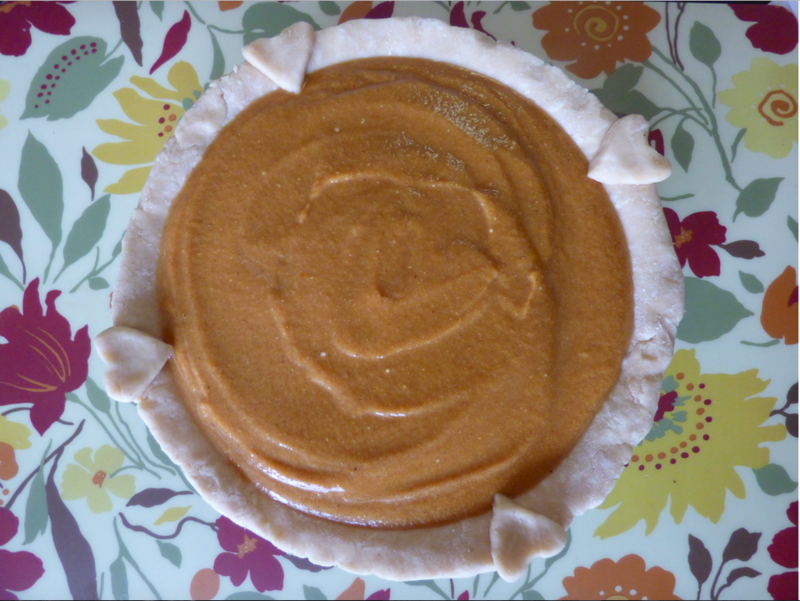 I recommend reading the Bojon Gourmet’s article for how to determine when the pie is done. 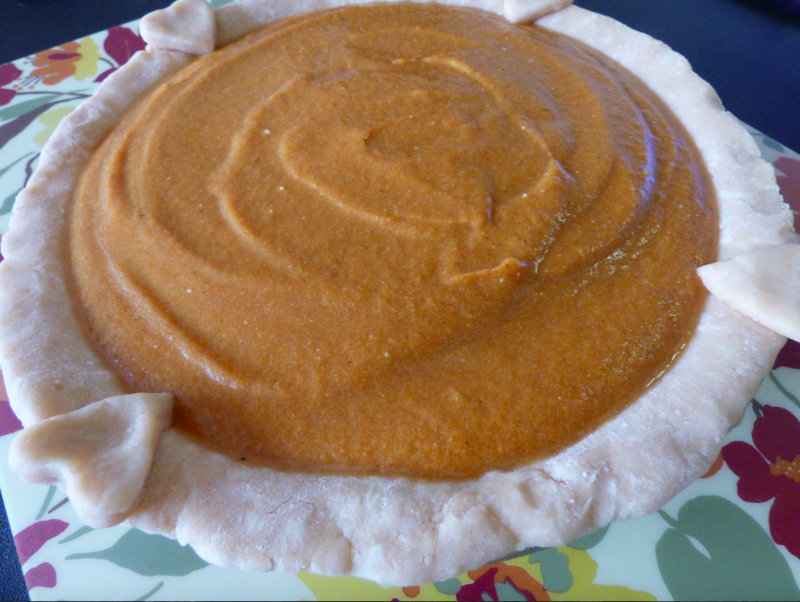 Let the pie cool completely and refrigerate. One hour before serving cut into slices and bring to room temperature.